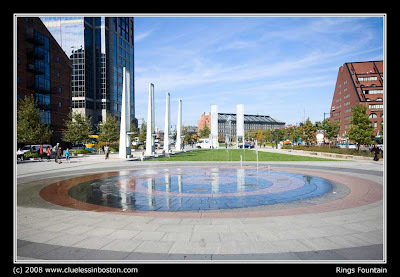 Water fountain on the Rose Kennedy Greenway. What a beautiful day! Is this a fountain you can play in when it's warm?